Check out these amazing Greg Brady curtains hanging in the lobby of Microsoft’s Studio D offices in Redmond, Washington. 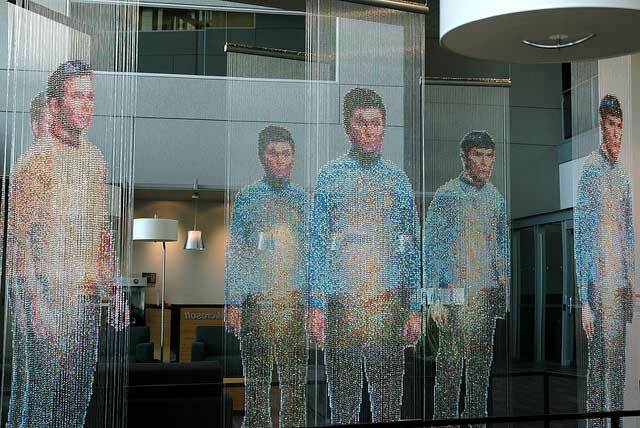 They really take beaded curtains to the Final Frontier. 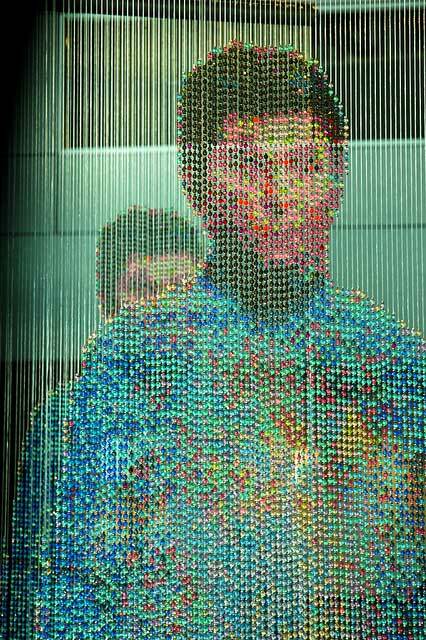 The piece is called “Mirror Universe” and was created by Devorah Sperber. 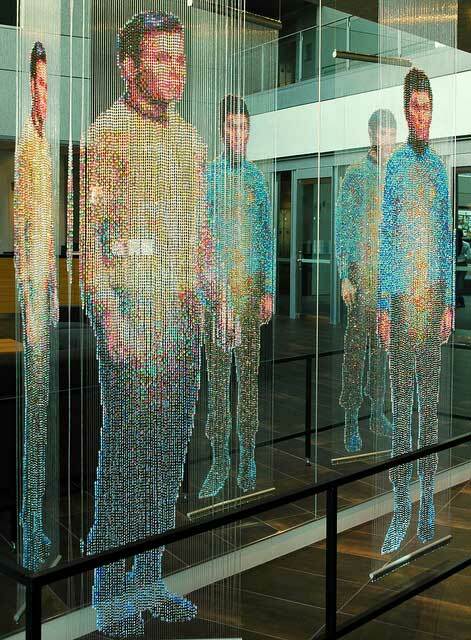 It features Kirk, Spock, and McCoy in the process of beaming up to the Enterprise. 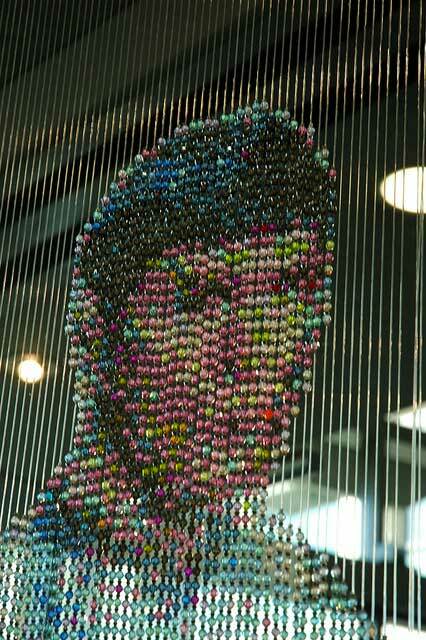 The artwork is composed of semi-translucent beads. Much like the practice of pointillism, this creates the appearance of a solid image when viewed from some distance. For more information on this amazing work of art, click here. Thanks to my good buddy “Voice of the Red Skull” for sending this my way! That is so awesome!! It actually makes beaded curtains cool. Now I want one.